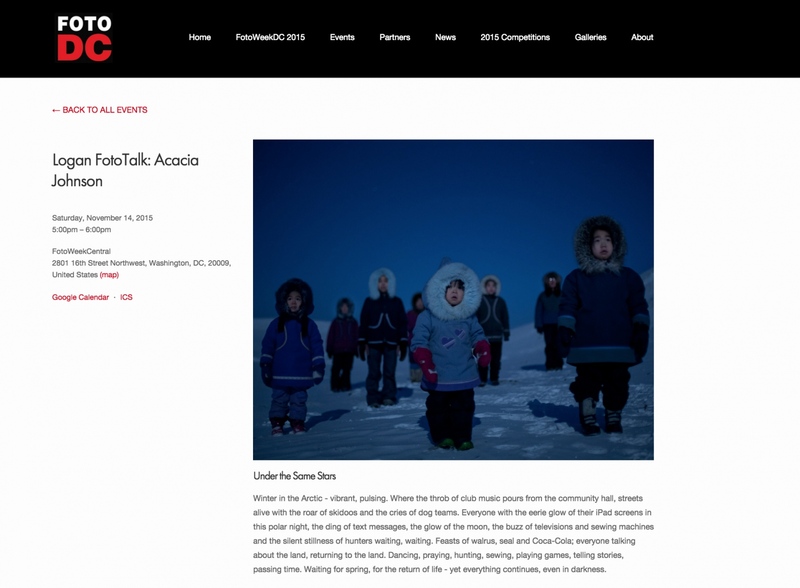 I am excited to be participating in FotoWeekDC with my current exhibition at the Canadian Embassy in Washington, DC. On Saturday, November 14th, I will be presenting a talk about my work as a part of the Logan FotoTalk series, starting at 5pm. Among other things, I will be sharing stories and images from my recent Fulbright projecct in the Canadian Arctic. Click here for more information - hope to see you there!